EXCLUSIVE! 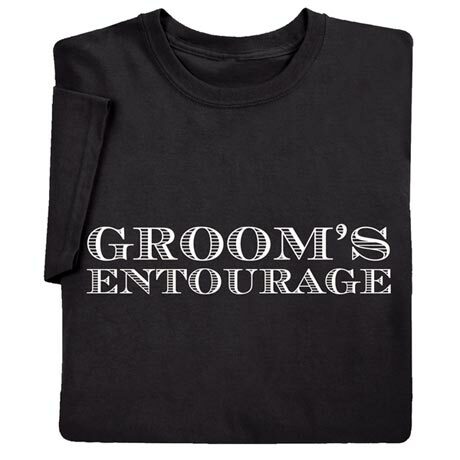 For the rehearsal, bachelor party, setup, takedown, morning of, and post-wedding wind-down. 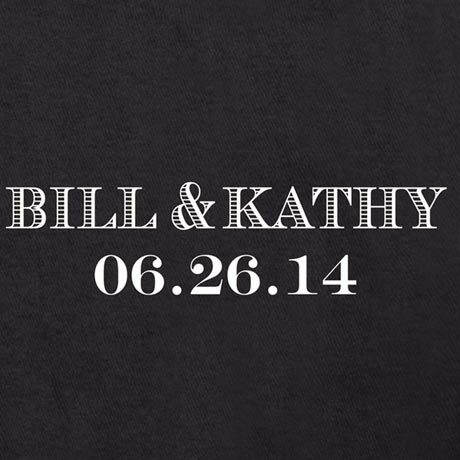 Shirt may be personalized on back with the groom's first name and wedding date. 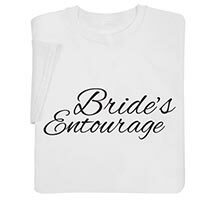 Available for everyone from the youngest to the oldest member of the entourage. Baby snapsuit sizes 6 mos., 12 mos., 18 mos., 24 mos. Toddler sizes 2T and 4T. Youth sizes S(6-8), M(10-12), L(14-16). Adult sizes M-XXL. Snapsuits and tees are 100% cotton. Sweatshirts are 50-50 cotton blend. Imported. No rush delivery or gift box.